Multinationals are preparing Indian staff for larger global roles, wrote Writankar Mukherjee in The Economic Times, with many companies starting “mentoring” programs to help train promising candidates for leadership positions. 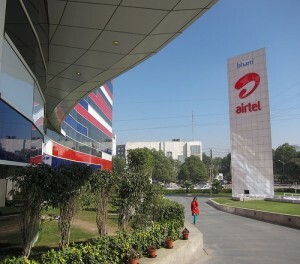 This could well be the start of a tectonic shift from India’s popular image as a low-cost outsourcing destination. The emphasis on creating global managers from India in multinational companies has seen an upward trend, which is triggering this move. There has been an increase in the overall exchange of talent, with top managers from markets overseas being moved into India and other Asian countries, and vice-versa […] Indian talent will play a much more significant global role for Nokia, just as the company has always believed in the India story and invested ahead of the curve in building its presence and shaping the market here. Pires estimated between 11-13% of Nokia’s senior global position are held by Asians or managers with experience in Asia. Other HR heads add that mid-level India managers, who have moved to global roles in the last few years, have also paved the way for a confidence among recruiters that makes them bank on Indian executives, train them and propel them to the next level. Companies say Indian executives come with some other plus points. They score high on research and analytical skills, with factors like experience and culture playing a favourable role to make them ideal candidates for global leadership positions.